Just once wasn’t enough! We bring master artist, Larry Elmore, back to finish our discussion. This is an extra special episode! Stuntman extraordinaire and industry legend @CarlCiarfalio joins us for a chat about many things movie! 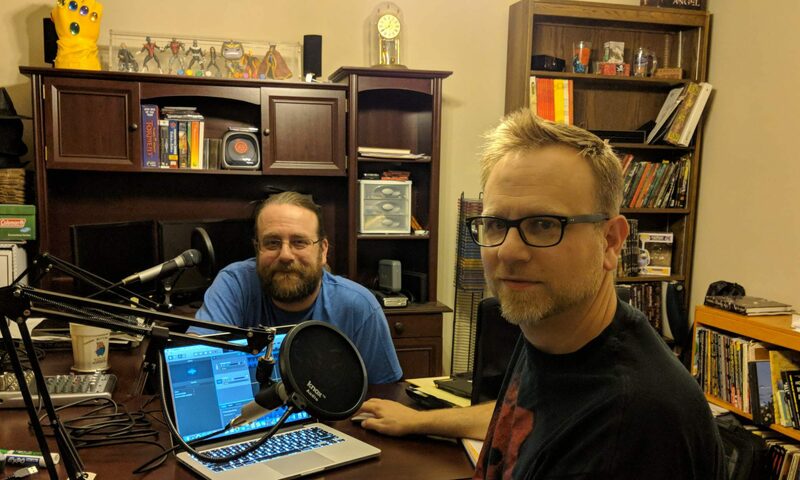 In this episode, our guest is Rich Thomas, veteran artist and game designer, captain of the ship that is Onyx Path Publishing! Get some insight on the old days of White Wolf and other storied gems! This week we are airing our interview with Christian Doyle actor and director associated with Zombie Orpheus Entertainment. Meet the man in the big yellow hat! In this episode, we speak with Steve Wolbrecht, musician and actor. He is a member of Zombie Orpheous Entertainment, the independent content creation company behind such films as The Gamers: Dorkness Rising and Journeyquest. Today, we sit down with David Wong, artist and familiar face to those attend (like Ken) pop culture-focused conventions. We delve into the life of a convention artist, and hear from the perspective of someone on the vendor side of the table. This review definitely contains spoilers! This episode was originally going to be released as the 4th in the series; however, plans changed – and so we bring it to you now. This time, we discuss our top 10 favorite bands either comprised entirely of, or led by, women.